Elegant chair with a modern design. Originally the designer took the inspiration from the collar of a shirt. This has created a very comfortable chair with a visual distinct detail. Collar combines technology and handcraft. The injectionmoulded interior followed intense modelling. The upholstery is tailored just like a made-to-measure suit. Even the buttons and the piping are upholstered to match the seat cushion, underscoring the importance of every last detail. 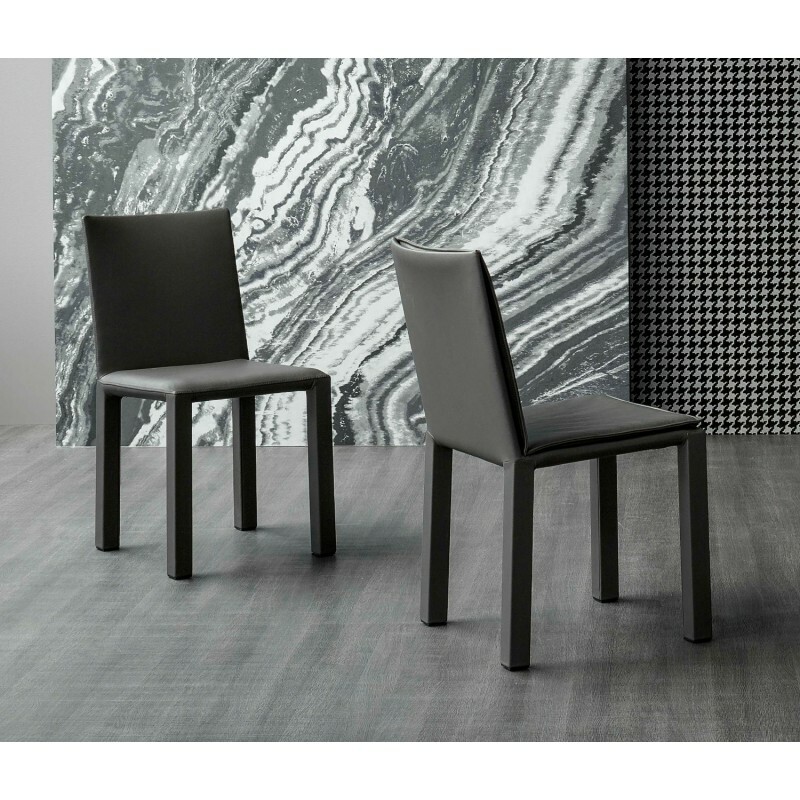 A modern, elegant dining chair characterized by a strong and strict shape combined with a linear design and a remarkable comfort. It is available in various models (with a wider seat, with armrests) and sizes: Kuva, Kuva soft, Kuva large, Kuva large soft, Miss Kuva large and Miss Kuva large soft. The structure is entirely coated in leather or eco-leather available in a wide choice of colours. 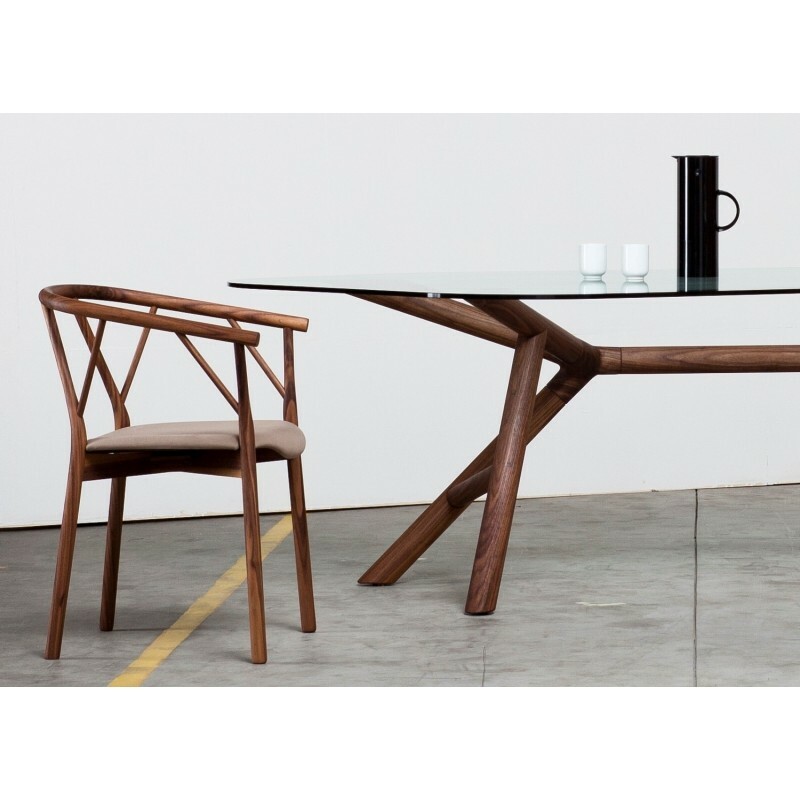 A highly resistant product, it’s frame is made of steel, back and seat inner structure are in multi-layered beech wood. The high comfort is ensured by the back and seat cushions in flexible cold injected polyurethane foam, crushproof, that allows minimizing pressure points. A wide range of valuable upholsteries that fully cover the armchair, which is defined by an elegant side stitching, are availble. In the quilted version the handicraft stitching designs a diamond pattern on the back and on the seat upholstery. Simply cosy. 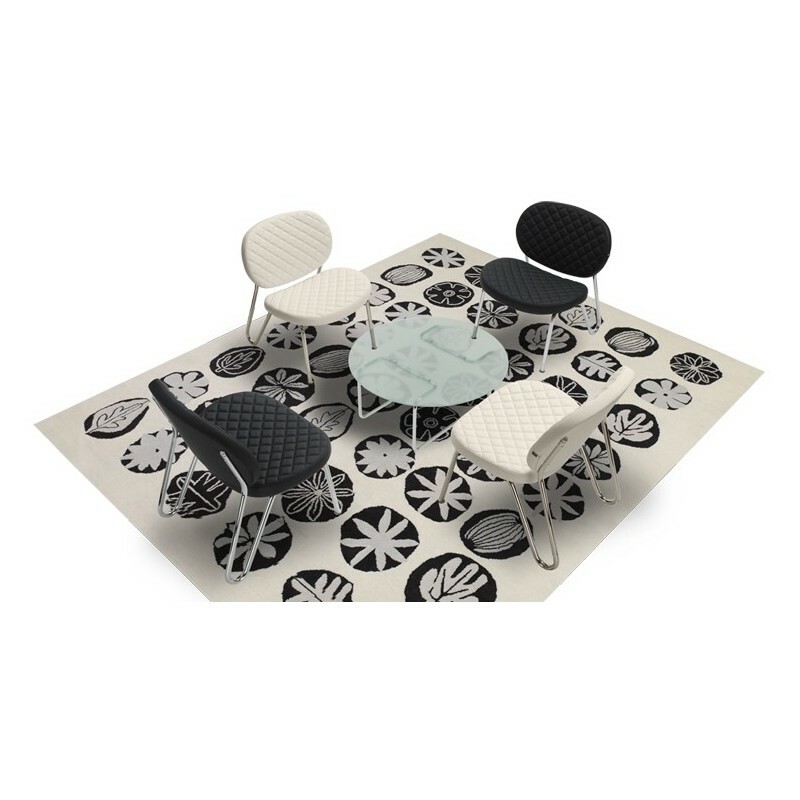 Shell embodies comfort and design in its shape and it’s able to be adapted to any need. It has been considered as a sculpture of design due to its particular and unique shape. It is versatile and elegant at the same time, indeed it can be insert in the dining room of a home or in public applications too. The structure is made of compact high density polyurethane with metal insert and coating is available in leather in a wide selection of colours. 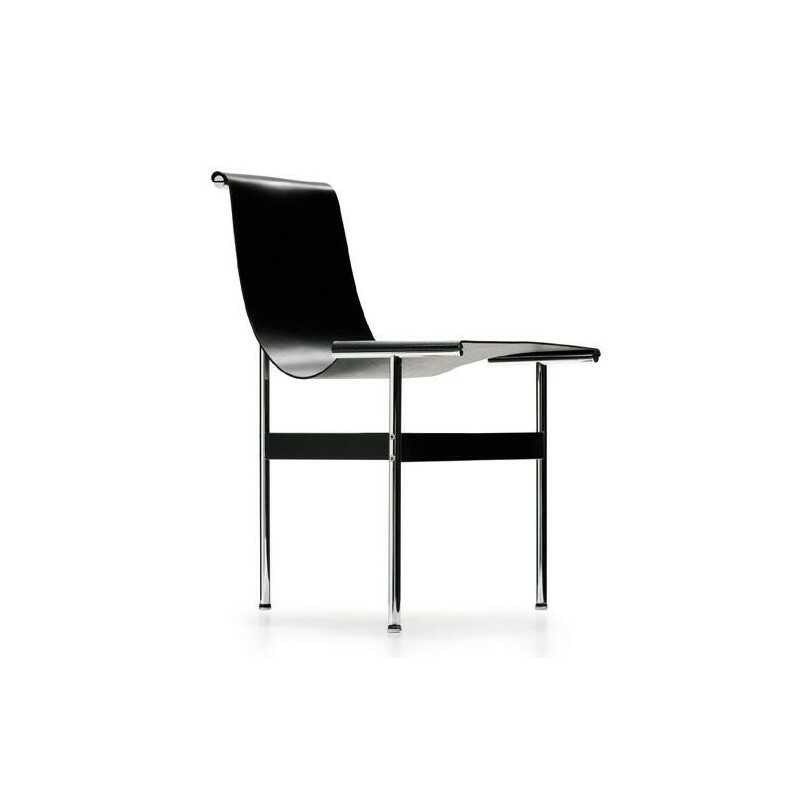 The Lou Eat elegant chair is suitable only for indoors. This elegant chair is characterized by simplicity and functionality.It was designed in 1952 by Bill Katavolos, Ross Littell and Douglas Kelley. Features: there are three support points for the chromed steel rod structure, the black saddle hide carved with painstaking care forms a seat suspended and naturally shaped.Coating is in fine leather. This is a stackable chair, made of moulded plywood, that combines emphatic design language with modern processing techniques. The three adjectives that best represent Wogg 50 are: lighweight, stackable and multifunctional. The seat is bent downwards on four sides and is held on both outer edges by the two leg pairs and the backrest. Wogg 50 is available in a wide range of colours. 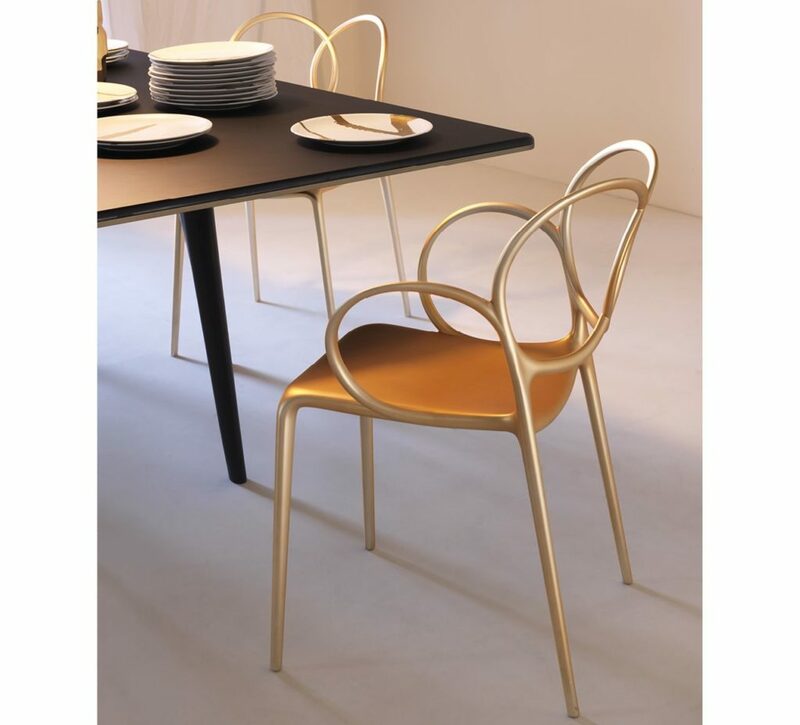 This is an elaborated stackable chair suitable for exclusive dining rooms. 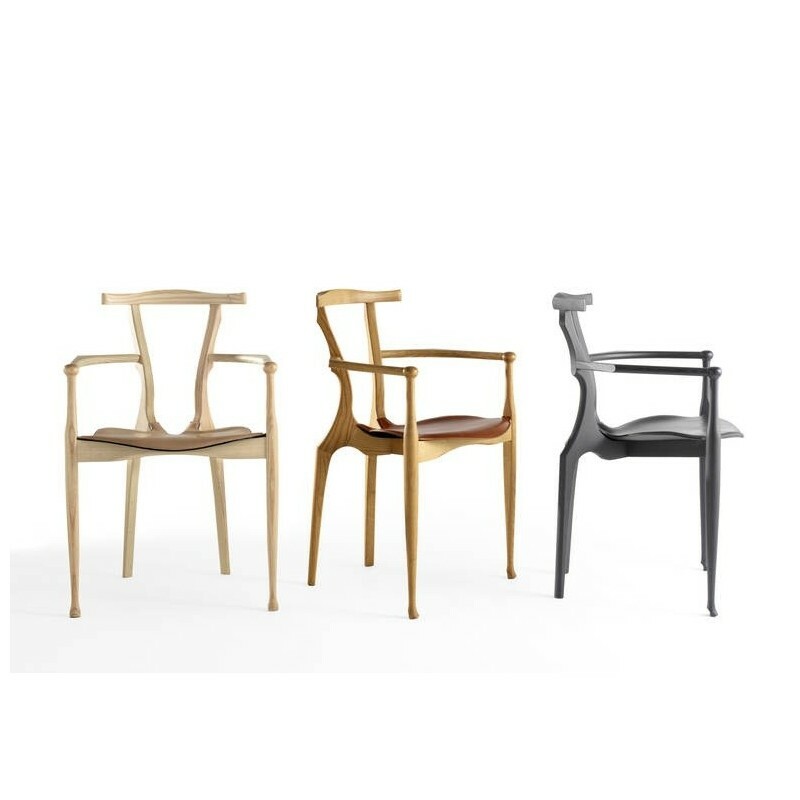 This elegant chair model is the improved re-edition of the historic Gaulino chair, designed in 1987, that had the privilege to be selected for the Industrial Design Prize and Adi-Fad in1989 and in Iberdiseño in 1990. 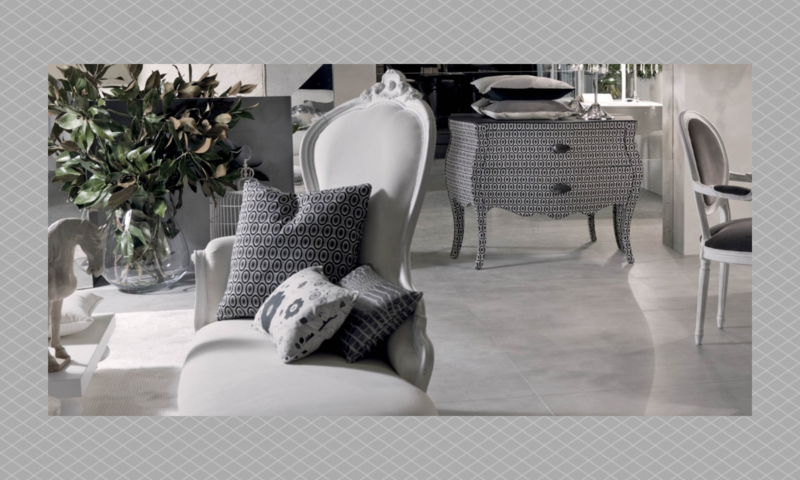 The designer was influenced by Antoni Gaudí and Carlo Mollino, for this reason the chair was named Gaulino. The structure and the backrest are made of solid stained or varnished ash wood.The seat and the internal frame are made of oak wood. Coating is available in leather in two colours. 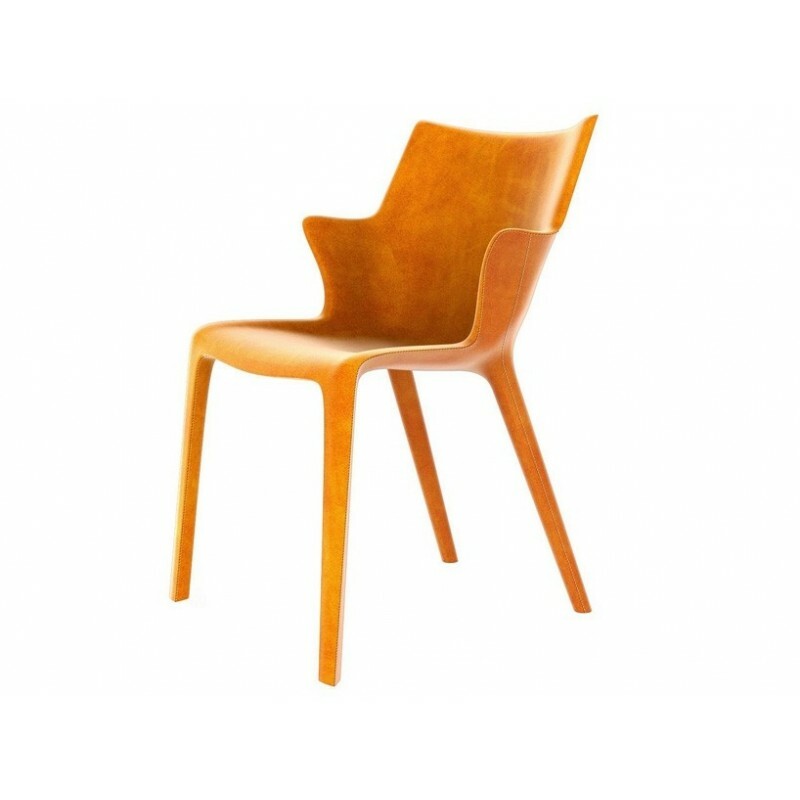 The key word for this chair is: “Welcome!” It’s comfortable and essential in its structure, the seat is made of curved wood and can be coated with selections of leather, eco leather and tissues.The design is elegant and attractive. 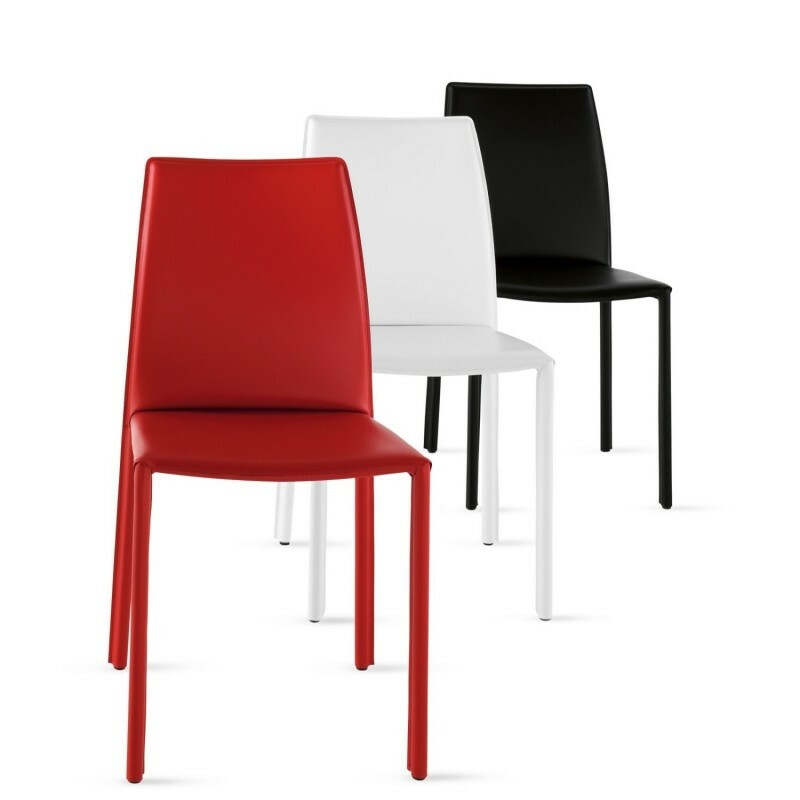 Three version of Valerie are available: the chair, the chair with armrest and the stool. It is a contemporary and modern chair characterized by the particular shape of the backrest and the armrests. The design is really essential, making Sissi suitable for any room and space. It is perfect when placed outdoor but also inside a house or a office it expresses its elegancy and style. 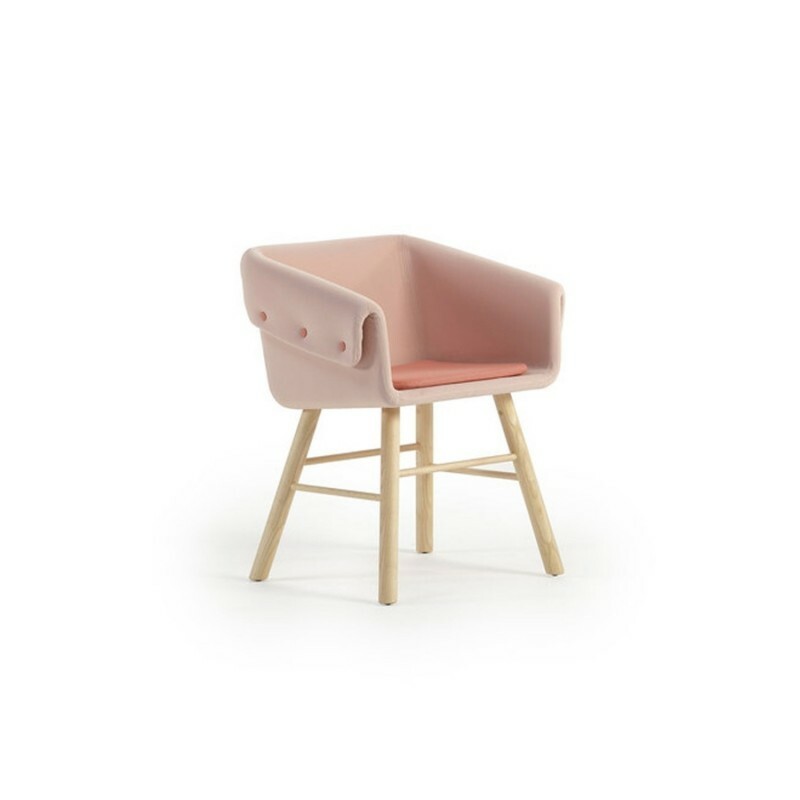 Sissi is available in a selection of pastel colours such as white, grey, dark grey and red. Previous PostPrevious THE 10 Luxury tables of 2018!